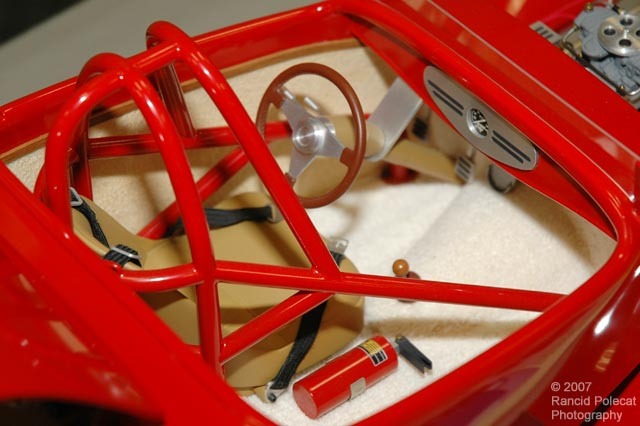 Terry cloth carpeting and European buckskin door panels envelope an 1/8 scale Jaguar bucket seat which is cradled in a scratchbuilt brass roll cage. Machined interior amenities include the gauge panel, steering column and drop, steering wheel spokes, brake pedal, and fire extinguisher. Seatbelt hardware is photoetched metal from Waldren Model Products.